After ten years of prepping himself as an assistant coach, at MidAmerica Nazarene University and Washburn University, Matt Keeley takes over as head coach for the OUAZ Men’s Basketball program. Coach Keeley was blessed to work for two college coaching legends during his time as an assistant. He was fortunate to assist Rocky Lamar and Bob Chipman. The both of them have combined for over 1,500 wins, have won National Championships and have been in multiple Final Fours. He has been granted the opportunity to build a college program from scratch. This will be the inaugural season for the OUAZ Men’s Basketball program. 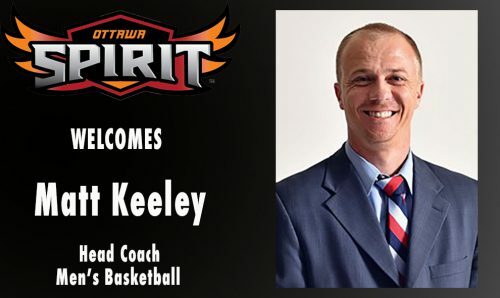 Coach Keeley is excited to take everything he has learned from being a successful assistant coach and an All-American point guard to this endeavor. Enjoy this episode of The Jim Huber Show! Buy League Elo Boosting service. Increase your MMR rating. Buy cheap league elo boosting service for League of Legends (lol). Elo boost. Professional and LCS Coaching for League of Legends. Love the 3:54 mark where coach talks about creating a winning culture! I’ve never heard of this coach before, but he sounds like he knows his stuff and is likely successful with his teams and creates winning programs. When will the next episode be? Best podcast for coach talk, please make another. Get Podcast Updates Via Email!